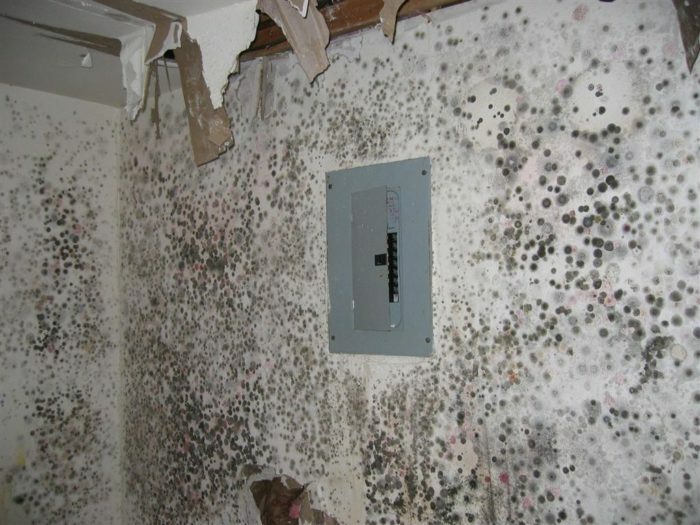 Mold can grow anywhere on a carpet, clothing, food, paper, and even in places you can’t see, such as the backside of drywall, areas inside walls around leaking or condensing pipes, and above ceiling tiles; as long as there are moisture, oxygen and organic material present. Mold can be good because it is necessary for the decomposition of organic matter in nature as well us making brie and penicillin and but it can also be worse, especially when it grows undetected in your home. Moulds interfere with the longevity and aesthetics of items. Not only is a mould problem difficult and costly to fix, but they can also produce allergens and irritants that may compromise your health. Mould spores spread fast, and it is not easily eradicated hence the best approach is preventing mould before it becomes a problem. Moisture control is the most important aspect to observe if you intend to avoid moulds. – Identification of damp areas and correcting them: Preventing mould from growing or spreading might be as simple as ripping up the carpet in a wet basement, installing mold-resistant products, checking and repairing leaks in the drainage system or repairing damaged gutters. Or it may be a matter of significant excavation and waterproofing. It might cost some money up front, but it will surely be more costly down the road if mould continues to grow unchecked. – Proper drainage around the home: If the ground around your house isn’t sufficiently sloped away from the foundation, water may collect there and seep into your crawlspace or basement. Ensure there is proper drainage around every building in your vicinity. – Dry, wet areas within the shortest time possible: Mold can’t grow without moisture, therefore, tackle wet areas right away. Flooding or seepage into the basement, accumulation from a leaky pipe, even a spill on the carpet, ensure it dries within 24 to 48 hours. If you’ve experienced a flood, remove water-damaged carpets, bedding, and furniture if they can’t be thoroughly dried. Avoid leaving wet items lying around the house or wet clothes in the washing machine, where mould can spread quickly. – Improve airflow in your home: According to the EPA, as temperatures drop, the air can hold less moisture. To increase circulation, open doors between rooms and move furniture away from the walls to let in fresh air, reduce humidity and keep mould at bay. – Proper ventilation: Providing adequate ventilation in your bathroom, kitchen, laundry room, and any other high-moisture area is vital in mould prevention. Vent appliances that produce moisture like clothes dryers and stoves to the outside. Use AC units and dehumidifiers especially in humid weather, but make sure to maintain them as directed by the manufacturer. – Equip your home with mould-resistant products: Use Mold-resistant products in mould prevention and mould control. Use mould-resistant products like mould-resistant drywall or mould-resistant Sheetrock when building and mould inhibitors for paints. Moisture-resistant drywall is especially valuable in areas prone to wetness, such as basements, bathrooms, laundry rooms, and kitchens. The core of the drywall is developed in such a way to prevent moisture absorption, and thus prevent mould growth. – Monitor humidity indoors: Humidity can be monitored using a moisture meter. The EPA recommends keeping indoor humidity between 30 and 60 per cent. Some of the signs of excessive moisture include condensation on windows, pipes, and walls, hence the need to dry out the surfaces. Treating areas of existing mould growth should always be done while wearing a respirator or mask rated for work with mould spores, and arms, legs and hands should be covered to prevent an allergic reaction. After removing any mouldy debris such as sub-flooring or drywall, treat the hard surfaces with commercial mould control products containing bleach or ammonia, which can help to eradicate any surviving mold. For continued mould prevention in problem areas, you can apply vinegar one to two times a week. Vinegar makes areas too acidic for mould growth and can prevent mouldy buildup in areas like showers and sinks. A regular scrub of the field with borax and water will also help to prevent and control mould growth. Always follow the manufacturer’s directions for the correct mixture ratio. Mould in homes can cause significant damage and even health risks, but by understanding the range of mould control and mould prevention products available, you’ll be equipped to keep your home mould free. For more information and the best solution to the mold menace contact the South Florida Contracting Services.